A simple game that develops concepts of fractions and equivalents. 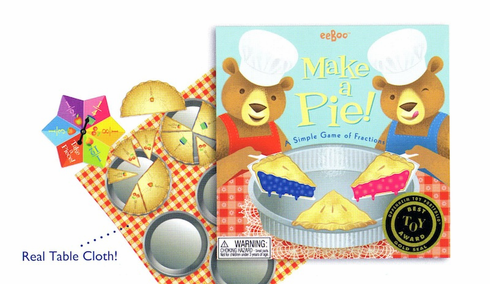 To make a pie you'll have to spin, and gather slices on your tin. Slices of a certain size will help you to complete your pies. Spin well and take a piece of pie from your opponent's own supply. Finish with most pies complete? You win! Ah, victory can be sweet.